Holiday season is officially upon us, and if you want to impress your friends and loved ones with a truly unique postcard this summer, you are going to have to travel to the end of the world (quite literally! ), go to hell, or make you way up the world’s highest mountain! A postcard from one of the world’s most remote post offices would make a wonderful holiday souvenir for anyone who loves to travel, and as you get to visit the most amazing destinations to send them, it’s a win-win solution for everyone! I’m not a huge fan of snow or cold temperatures, but I’d gladly spend a week or two cruising to the Antarctic to visit the Penguin Post Office! Home to some 3,000 Gentoo Penguins and a handful of post office staff, this “little bit of Britain in the heart of Antarctica” attracts thousands of visitors each year who send some 70,000 postcards across the world. Port Lockroy is a port of call for many cruise ships between October and February, so you can enjoy a unique cruise holiday and visit the penguins at the same time! If you prefer sunshine to snow, head on over to Grand Cayman in the Caribbean this winter and send your friends and loved ones a postcard from Hell! 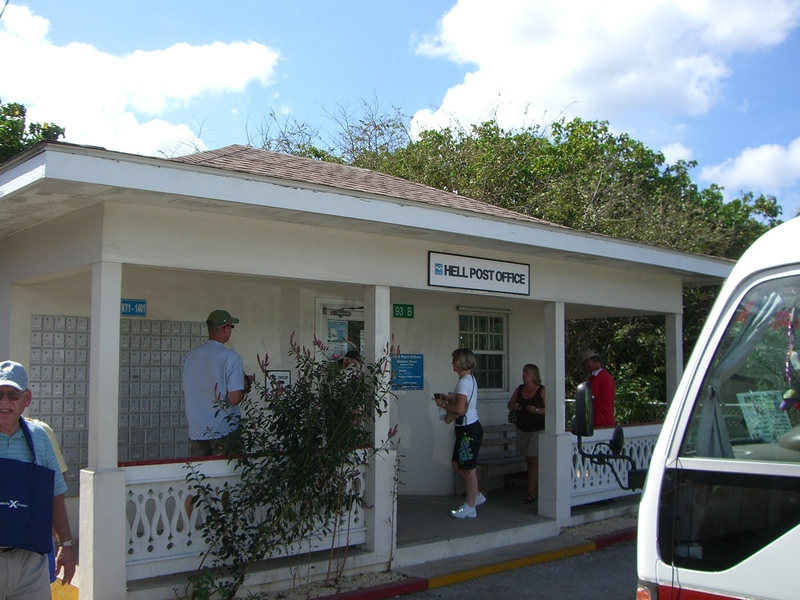 Set next to the ‘Hell Rock Formation’, a rather unusual black limestone formation located in West Bay Grand Cayman, the Hell Post Office is not particularly remote, but it is the only place in the world where you can send a ‘postcard from hell’. 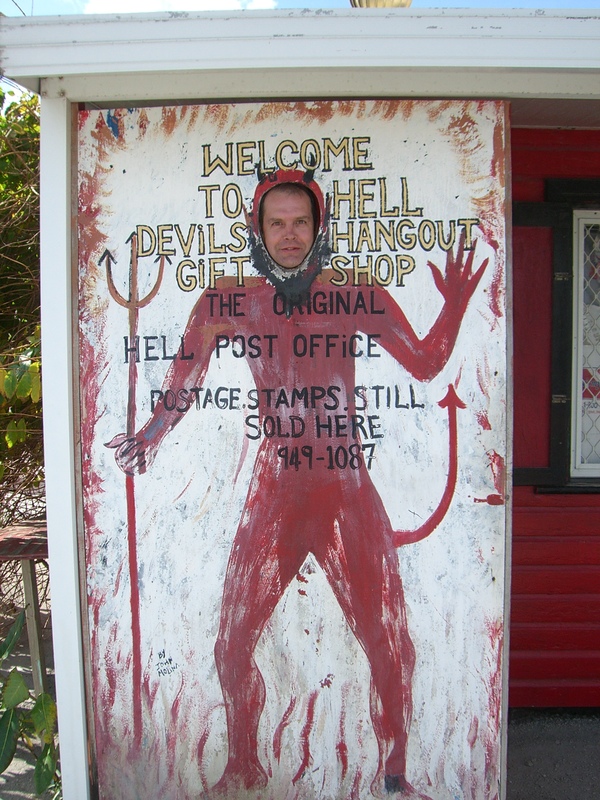 We visited the Hell Post Office back in 2008 – and we are still waiting for our postcards to arrive! Adventurous travellers who prefer to stay active on holiday will be pleased to know that they can even send a postcard from the world’s highest mountain, during their Mount Everest expedition. At 5,300 metres above sea level, the China Post Office at Everest Base Camp is the highest post office in the world, and between the months of April and August each year, you can send your family and work colleagues a postcard from the roof of the world!